(First of all- the synopsis attracts readers in a very well-done way. I would know- I was hooked when I read it). There were some very interesting plot twists, which I really wasn’t expecting, but they were very well-written and definitely had me turning the pages very quickly, to the point of exhaustion*. *just kidding. but it was close. I also found it strange that Addison had (spoiler [ish? I personally wouldn’t consider it as a spoiler but other people might? ]: highlight white text) dreams about the attack before it happened? I do wish that we could’ve seen more of Smashman and his troops, as well as Hanson’s parents, but I’m guessing The Rebellion (which is book two in case you aren’t familiar with the Tales of Tarsurella) will include that. 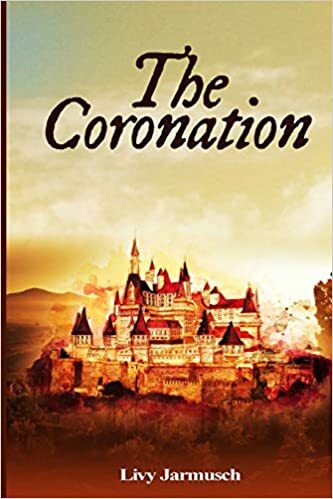 Overall, The Coronation is a lovely novel on princesses and princes and castles and guards and I absolutely adored it. 4.75 stars. Livy has a charming writing style – I now feel like I’ve been to Tarsurella – and I’ll definitely grab The Rebellion to read as soon as I can. Recommended to 12+ for minor violence and romance. Normally, I wouldn’t purchase hard copies of books I already have in ebook form, but The Coronation is a book that I want to have on my bookshelf and bring on vacations and it’s definitely one that I would go yell about to my bookworm friends (and yep, it’s in my Amazon cart right now). Also, I read it twice. The first time, I loved it. The second time? Loved it even more. And I should mention that I rarely, if ever (in fact… I don’t remember the last time I reread an online book?) reread online/ebook books more than once because my eyes prefer to spend time on reading real paper/hardcover books over on screens. So… please go buy it. It’s obviously on the pricier side, being $15.99, but it is a thick book and completely worth the cost and time. Have you read any of Livy’s books? What did you think of them? Any questions? Feel free to ask below in the comments! Aaaaaaaahhhhhh I need to read this! Everyone says it’s great……….I will read it eventually! Hopefully! Oh yeah, and I forgot to say that I love the graphics!!! Can’t wait to see more! And thanks about the graphics! I’m quite pleased with the way they came out haha. *hugs* Love you! Thanks for commenting! Haha, thanks. xD *go searches it up on Amazon* Okay. Um, yes please. This is one of my favorite books! I can’t wait to read the other books in the series!